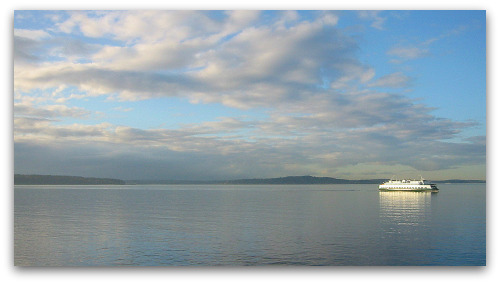 A Washington State ferry plying the protected waters of Puget Sound on its way to Vashon Island. And big love from Gracie and Boz, too! Sounds lovely! And your home looks so nice bedecked for the holiday. Well, there you go!! Now you have done it! I have been to Vancouver and the Island and loved every minute. I have been to Seattle and loved it. By your description, I might have “missed the boat” by not going to Vashon Island. Now, I really, really want to visit!! Lovely post Tom! I so understand, it has always been our dream to move to Salt Spring Island an Island quite like Vashon. One day…. It does sound like heaven on earth; and after perusing the Destination Vashon clip, you have got a coffee roastery with Italian beans and a massage parlor on the island: it IS heaven on earth! There are many who spend their entire lives looking for “Utopia” and you’ve found yours. Honestly Tom…how lucky are you! As important, how lucky are we that you’re willing to share it with us. Thank YOU for welcoming us to your wonderful place on earth. SOLD!!! I am oringinally from Port Orchard, WA and currently reside in San Diego, CA. My husabnd and I have been throwing around the idea of possibly moving to the NW or Northern Cali. I think you just swayed us with your lovely article. We are coming up next week and now I can’t wait to get on a ferry, always a nostalgic highlight for me. Thanks for another great post, I always look forward to the next one. Pure poetry, Tom. You do have a way with words. The last time I was on Vashon Island, I was 19 years old…needless to say, that was a while ago. I think I must return to see it again, through wiser eyes now. What a wonderful tribute to island life, my sentiments exactly. Our dress codes are much the same! We just had our Salmon Days yesterday, you must attend it some year! Sandi on neighboring Anderson Is. My family moved to Vashon in Dockton in the summer of 1954 and I have not been off much since- I must say you description is like a lifer- you really REALLY get it! Love your writing you said exactly what I think, thanks!!! looks like it could be in a movie! And the decorations look great! Happy Fourth of July!!! Sounds like my kind of place…you’re giving me dreams of what may someday be! BTW…love the holiday decorations…your house looks so festive and welcoming! This is a gorgeous story. It sounds like your heart and mind are really open to and engaged with Vashion Island. I don’t think that’s very common for most people in most places. You’re very lucky. Great post! Love the shot of your house all gussied up! Brion, did you see that it was a Porsche tractor? 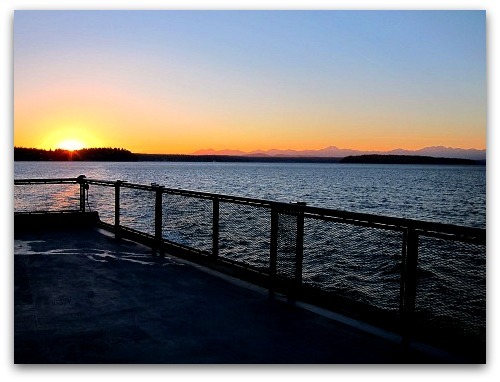 How fortunate you are to call Vashon Island home. I think we’re all looking for a place like that in our hearts — you were able to realize your dream. Oh, Tom. You’re going to get people showing up on your door step any day now. I love the new “recently posted” feature. Brilliant. It makes me want to post. I’ll trade you Islands. I live on Gabriola. Great read. Thank-you for that. I stumbled onto your strawberry-rhubarb jam recipe and was interested to find I do it much the same way. I used 6 cups rhubarb to 2 cups strawberries cook with 3/4 c. each of white/brown sugar, 1/4 cup agave, and ten springs of mint blended in 1/3 cup maple syrup. It’s more like a preserve I guess. I love to cook. Blessings, Lee. Lee that sounds pretty wonderful, like the idea of the mint leaves. I’ve used rosemary once or twice with fine results. I hear Gabriola is a little slice of heaven in the Gulf Islands. Here’s to your paradise! Delightful. Enjoyed the visit on Puget Sound many years ago. Your place and life comments are fun to visit. You are living my dream…what an idyllic home! Thanks Barbara and Jan, your kind words are reminders for me to not to take good things for granted. dont know what I can say that other haven’t. OMGosh, I’am so ready to have that life style. I’am a midwest girl but my dreams of Alaska and now ur beautiful Island make me want to chuck it all and move on. but alas,the people I love are here, so I will live thru ur wonderful writing..please keep posting, u are a awsome writer…HAPPY AUTUMN..
Sheri, so glad to make your acquaintance and thanks for your kind words. I used to live in Alaska, and it’s a magical place from the misty fjords of SE Alaska to the stark interior. Here’s to your dream, you’ll make it to Alaska, and the beauty and power of our 49th will captivate you. Here’s to the best of both worlds, living with those you love and escaping to a new adventure every once in while. Tom–Thanks for a lovely reflection. While I love my farm in Maine, I was feeling a bit homesick for the island, and your post was just the sweet tidbit I needed to nourish my nostalgia. My grandfather was born on the island and I grew up there as well. My parents still live there–my mother and her best friend run Calico Gardens and sell their bouquets by the side of the road. 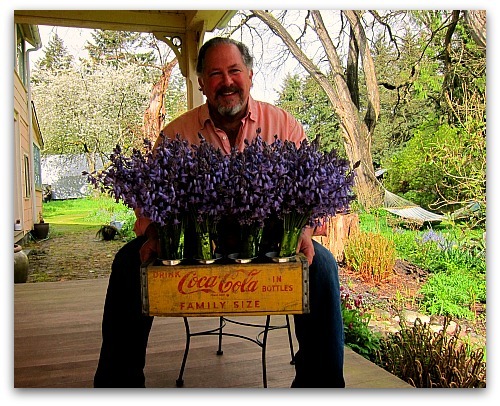 I could never afford island land myself, but I settled in a town with a similar balance of art, farms, and quirkiness. Say hello to the island for me! Hi Mainecelt, so glad to make your acquaintance; I know of your Mother’s Flower stand well. Her daily roadside floral additions put a smile on my face each time I drive by. I read a Maine blog, you make be interested in. A lovely family and their daily lives, beautifully written: http://www.fourgreenacres.com/ . Take care, stay warm and perhaps our paths will cross on your next visit to Vashon. What a great read. I found that carrot salad and there was the german warm and the Waldorf, all my favourites and all in one place. The story of your home is sweet. 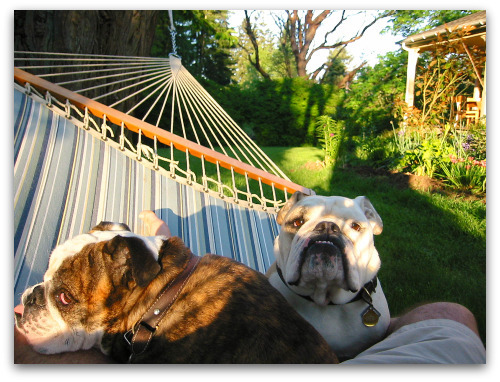 And, Hammocks, oh my, a true joy. Hi Allison, thanks for the kind words and visit, and here’s to your beautiful part of the world! Found this site while looking for ways to stake pole beans, after deciding to fence against rabbits and build raised beds and test my seaside soil. And there’s that friendly face–closer to my Seattle-based daughter than I am. Is he married? Gay? So happy in his life he never looks outward for a female friend/complement? I understand autonomy and independence and happy days. Can’t help wondering what the man dropped out from, and what life of the mind he enjoys as he does his land-husbandry life style. This is my day be bold (and cart compost). Virtual hosting is a lifestyle in itself, I suppose. Well Tom, your words brought tears to my eyes. 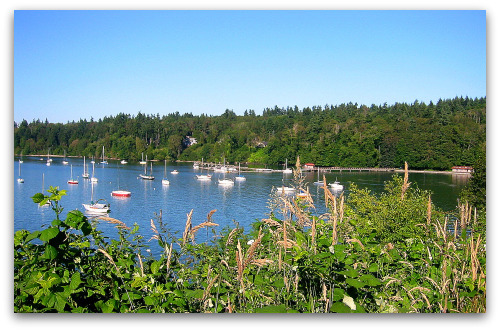 I spent the bulk of my formative years on Vashon and have so many fond memories. Sailing. Ferry rides. Hitchhiking. Imagining myself an explorer as I played in the solitary woods, certain no feet had ever trod the earth I was discovering. Berry picking. Clam digging. Rebelling. First loves. My mother was friends with Blanche Caffiere, who lived on Burton beach and swam in that icy water every day. Blanche wrote a memoir about growing up friends with Betty MacDonald. What a flood of memories surround just that one relationship. Thanks for the trip. I have since lived in Hawaii and Alaska (where I have made my home for the past 19 years) and the sound of seagulls and smell of salt air still tug at my heartstrings and remind me of the idyllic home of my youth. Hello Tom and all your fans, I am new to this life style here in Mangawhai, northland New Zealand. This is a place I only can dream about visiting. I live in CT. My dream is to live the rest of my days in a place where time moves easy and people move slow, where tea, coffee and dinner are enjoyed everyday not just on special occasions. I found you by way of a pin of your garden fountain on Pinterest–absolute genius. I have a lot of the materials already. Vashon sounds like a utopia. Now I am going to set about exploring your site and see what other brilliance I can borrow. Thanks, peace and grace to you. 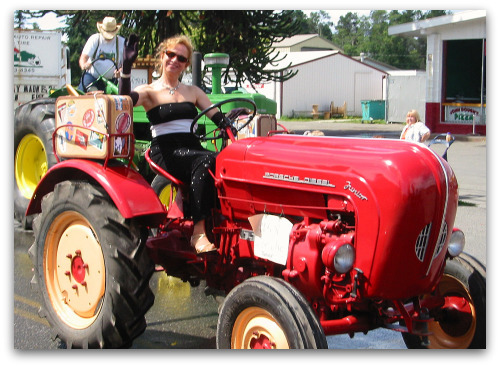 Tom, have you ever visited the Betty Macdonald farm on Vashon? She’s my all-time favorite author (sorry, Shakespeare! 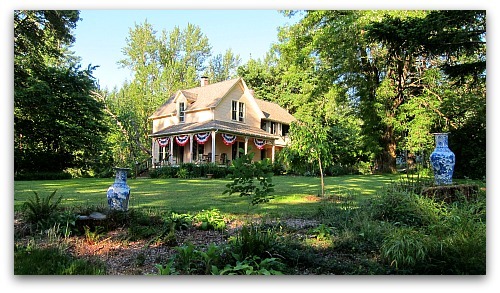 ), and this farm where she once lived looks so beautiful and peaceful. BTW, I grew up in Issaquah, but now live in Utah. I’ve been here 20 years, but still long to for my native Washington state every day. There are only 10 things on my stuff-to-do-before-I-kick-the-bucket list, and one of them is to stay at the B&B on Betty’s farm, sans beloved husband and kids, so I can soak up the nostalgic quiet and write to my heart’s content. You’re so blessed to live in one of the most beautiful places on Earth! Picture # 5, I’m jealous. that’s one of them places i’d give just about anything to live in. Lucky, lucky man! My heart yearns for life you describe. May you enjoy your life there for many years.